Goofy "POP" pen. Squeeze me and my heart pops out. 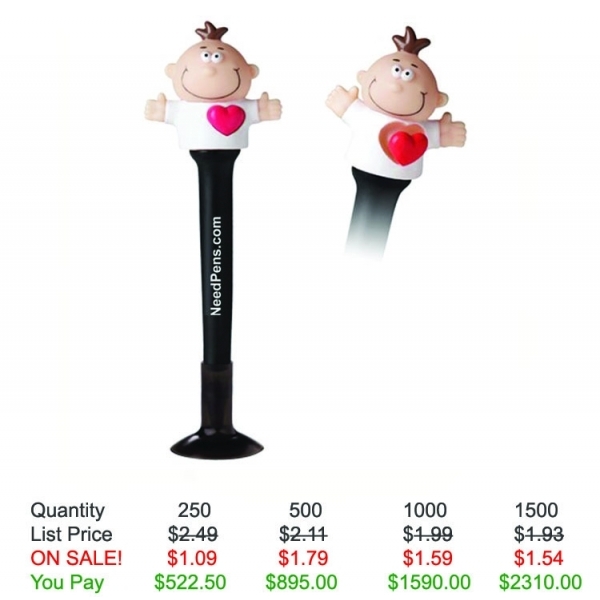 Features a quality black ink cartridge, along with a color-coordinated suction cup base. 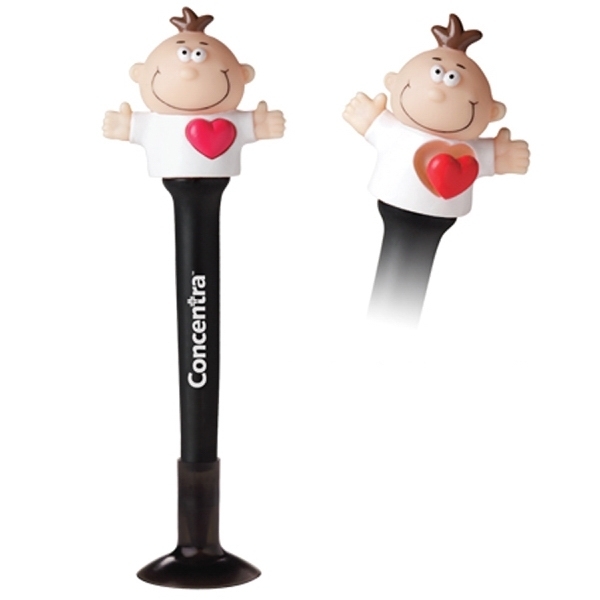 Squeeze me and my heart pops out is the perfect way to put your boldly branded message directly into the hands of your customers! Warning: Choking Hazard - Small Parts. Not for children under 3 years. These pens have made quite the impression on our customers, and they just make you want to smile when you look at them so they serve a dual purpose! Thanks for your help with our order, and your patience with my computer challenged brain! We will see you again soon with our next order!